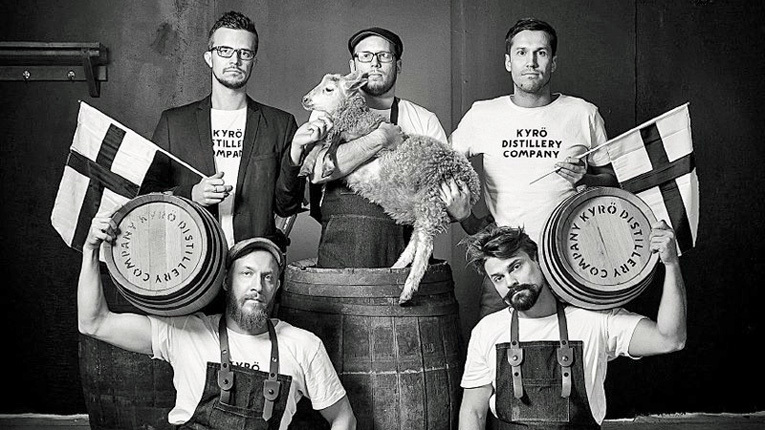 Behind the approach that helped the Kyrö Distillery Company become an international brand. 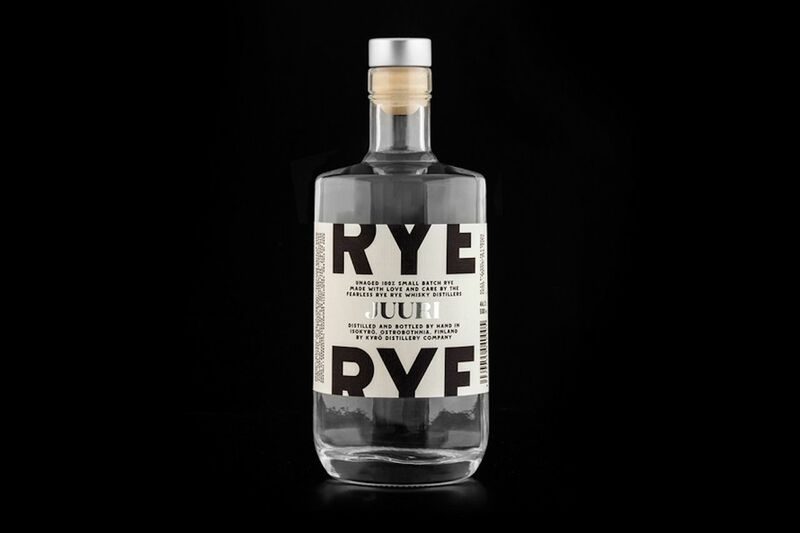 Famous for its rye distilled gins, the Kyrö Distillery Company is an acclaimed producer of high-quality spirits. How did a group of Finnish friends that came up with the idea in a sauna ensure the successful expansion of their product? While many factors supported the spread of Kyrö's influence, when working together with Kyrö Distillery's co-founder Mikko Koskinen, I learned about a simple way that contributed to their growth story. What were some of the factors that helped Kyrö Distillery grow faster? 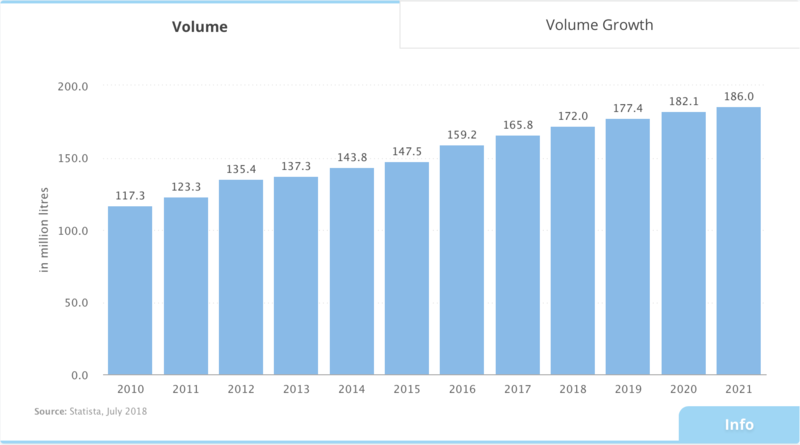 There was a global increase in consumption of Gin spirits at the start of this decade. The growth continues strong to this day. Gin production growth in Europe, Source: Statista. Initial production took place in a building that was acquired as an unused property from a closed dairy plant. This helped keep the costs low and ensure a strong start for the new distillery. A visitor center is nowadays available, contributing to Kyrö's wonderful company story. Kyrö took solid care of their product quality and did it with an appealing little twist. 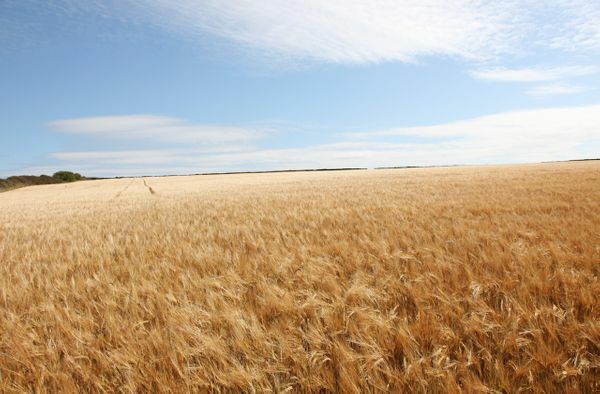 The Kyrö products are distilled with whole grain Rye which is considered a high-quality domestic ingredient in Finland. First ever barrel of Kyrö Distillery's production internationally was sold to a Japanese acquaintance of the co-founder that he met on his flight to Asia. Japan remains a key market for the company. The team found ways to take part in spirit competitions early on, a fact that propelled their press coverage to completely new heights. Some of their awards can be found here. Most importantly the team invested resources into branding their product. Being responsible for marketing, Mikko believed that if they put special effort behind branding, when successful, it will decrease the risks of their business. Memorable branding and anchoring the product to the unique founding story and real substance provide significant added value to those enjoying the drink. It also makes the brand more sustainable in today's very competitive environment. Creative agency Werklig was in part responsible for Kyrö's brand. Kyrö set up a cold calling operation that attempted to spark interest and strike deals with potential distributors worldwide. Just calling up the contacts in the modern world though, was not necessarily the most effective way to break into new markets. What really made the difference was something else. So how did Kyrö gain a foothold in any new significant market? 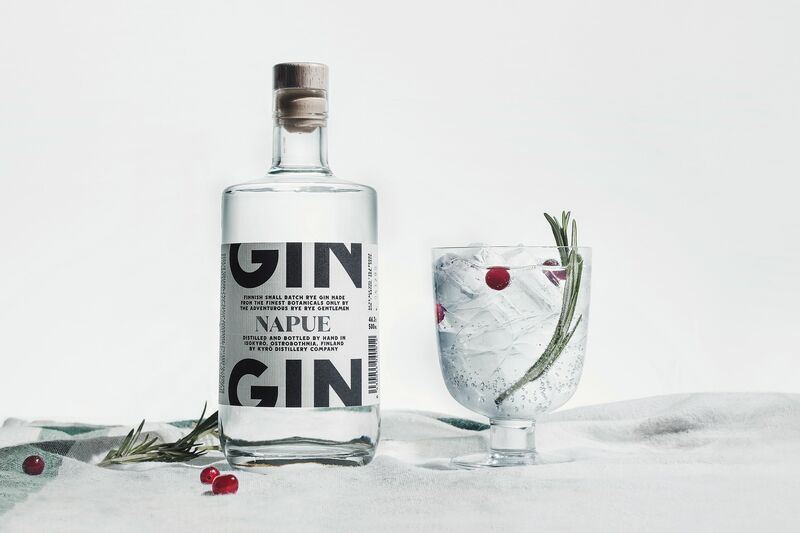 In accordance with the company branding, Kyrö ordered high-quality collateral materials, took a couple of their Gin bottles and set out to hit the target markets themselves. Founders of Kyrö sought out either local contacts that were well accustomed to the bar scene in any given city, or researched some of the most trending and well-known locations that were famous for their vibes. Kyrö's team would enter the place and get a feel for the location. After enjoying their time for a while they would approach the bartender and have a casual chat. Later, they would introduce themselves a bit more and whip out a bottle of their own Gin, ask the bartender to taste it and see what the reaction would be. They then proceeded to ask more about the stakeholders of the bar, and eventually, about their distributors. Would you add this Gin to your offering if one of your distributor partners would introduce this product to their inventory? Thanks to their great product, the answer was more often yes than no. After approaching multiple locations in this way for a couple of times per night, Kyrö started effectively creating relationships with local influencers. After a couple of days, it would become apparent who were the biggest local distributors. The distributors were the key. After expanding the bar footprint in a given city, it was then easy to persuade the distributors thanks to early validation for Kyrö's Gin and some pre-generated demand. 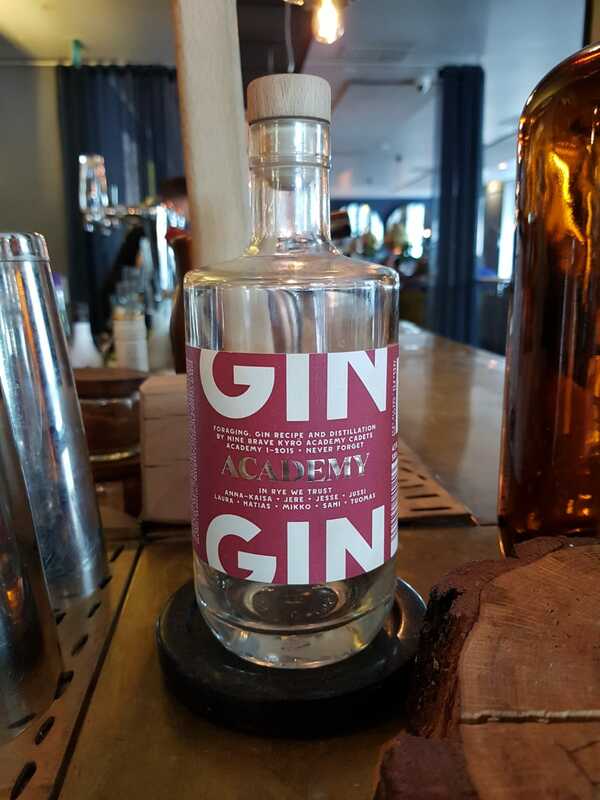 A Kyrö Distillery academy bottle. Kyrö's team was at this stage essentially riding on the bar's brand. This local bar, of course, wouldn't choose Kyrö's product if it would be bad. Distributors, on the other hand, had the influence as well as social capital that was needed to push the product forward. These relationships started feeding each other and ensured a steady word-of-mouth expansion while gaining new mindshare among the consumers. Master of Malt was just one such distributor that ended up growing Kyrö's presence internationally. Kyrö even launched its own academy and engaged in many other activities that were intended to keep the product relevant. Ensure that the product is good. Very darn good indeed. Understand the market and the trends within. Invest in low overhead strategic expansion like Kyrö did. Entering new markets doesn't always require a huge amount of capital or expenses. 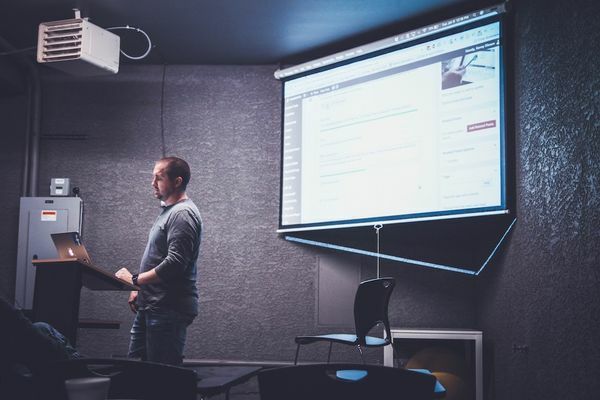 Compliment the main strategic efforts with additional action to support growth on all fronts: inbound marketing, outbound cold-call efforts, industry events. Remember the importance of the human approach. Build relationships with great people and enjoy doing so. Build strategic partnerships that bring value to all of the parties involved. Understand the importance of a great story in the modern ultra-competitive marketplace. People always love good stories. During my studies, we decided as part of our school project to approach and help Kyrö Distillery Company with entering and expanding their presence in the Portuguese market. Recently some well-covered news broke out about an interesting occurrence that happened in 2018. Kyrö Distillery ran into a copycat product where else than in... Portugal. See the tweet below. Their great story sells and I wish the best success to the team at Kyrö Distillery! Today we have a growing tendency of avoiding long and boring slideshows that were very common five years ago. This is a positive change in the world of business.